Yesterday I had the great fortune to listen to the Alexander String Quartet perform a concert at work. I really enjoy classical music, although I've had very little training — the majority of my classical experience is actually from watching cartoons as a child (which also explains why I'm frequently familiar with pieces, but have no idea who composed them or what they're called). 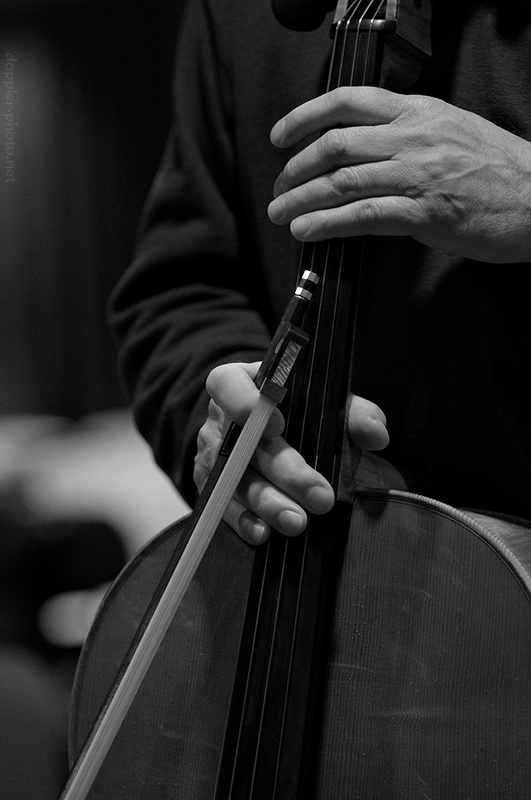 In the photo, Quartet cellist Sandy Wilson stands with his instrument while conversing with members of the audience after the performance.